Open House in Hood River, Oregon! It is a three homes in one tour event, Saturday October 13 in Hood River! One of our finished home, and two of our homes in progress will be open for you to tour. Meet our project managers and builder Cameron Curtis, see a home in progress and the finished product. These three homes are sold, BUT we have two homes (see info below) for sale on the same street. Learn about the homes for sale and tour a house built by the Curtis Homes team! Our photographer Jen Gulizia, owner of Gorge-us Photography, captured a completed Curtis Homes’ neighborhood. 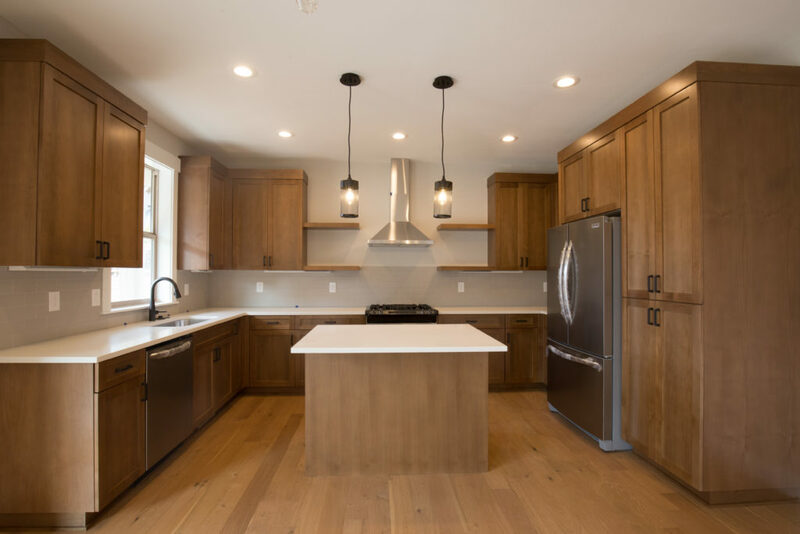 Often, Curtis Homes shares photos of recently finished house, but one of the most satisfying parts of the job is seeing a home a year later being loved and lived in. It is rewarding to see yards with grass, kids playing in the driveways, families having dinner in the dinning room or cooking together in their kitchen. Tag @CurtisHomesllc in photos of your family living in your home! Let’s talk windows. Windows can be draped, covered, shaded, or frosted. Windows give a room character, light, functionality, or a view. Windows come in all colors, shapes, sizes and styles too! There were a lot of wonderful windows in a recent pre-sold home built by the Curtis Homes crew. The windows benefit the new homeowner by bringing in cross-breezes, natural light and added character to each room. In a new home or remodel think about what a new window will do for the room. There are A LOT of window choices, but try to narrow down the options by thinking through what the room needs. For example, does the room need more natural light? Is the exterior of the home lacking a little character? Would a sunset or sunrise be missed without a window in the room? Once you know what benefits from a window the room will have, think about what you’ll see on the other side of that window, such as neighbors, mountain view, trees or a backyard. Add a skylight, dormer window, picture window, bay window (the list goes on-and-on) based on what makes sense for the space and it’s surroundings. The Curtis Homes’ preference is to include lots of windows, as it makes sense of course, because we are building homes in Hood River, Oregon, the most beautiful place in the world. Hilltop or mountain views makes us want to add a window. Possibility of natural light in a master bedroom’s walk-in closest makes us want to add a window. Ask yourself what makes you want to add a window? Kitchen has beautiful natural light. Everyone can follow the day-to-day progress of the homes being built by Curtis Homes on our social media (Instagram, Facebook and Twitter). To learn more about the process of what we are doing CLICK HERE! It is an exciting time for the Curtis Homes crew we are busily building and working with clients to get them into a home they enjoy! Join in on the building fun by following us on Instagram , Facebook, and Twitter! CURTIS HOMES is proud to announce we are building a new model home, The HoodRiver, in the Meadow Lark Heights subdivision in Hood River, Oregon. The model home is located on Makena Lane, west of Westside Elementary school. This home will feature vendors, subcontractors and Curtis Homes’ craftsman workmanship. The home was designed by architect Alan Mascord, owner of Alan Mascord Design Associates Inc and the plan’s name is The Hood River. We broke ground on the model home project February 8, with the help of Bounds Excavation. The model home will be completed in May 2013 and will be open for people to tour from June-September of 2013.